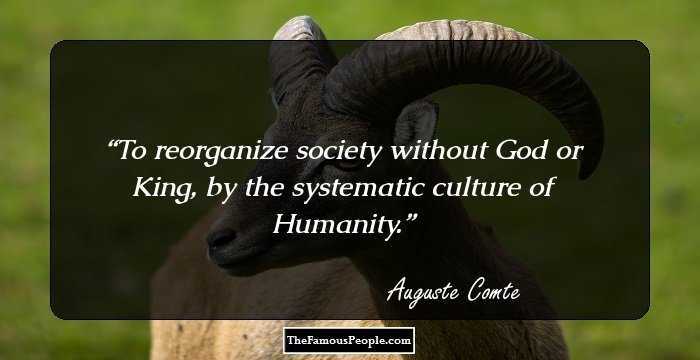 A collection of quotes and thoughts by Auguste Comte on fame, facts, beliefs, theories, living, dead, government, sociology, claim, life, collective and ideas. 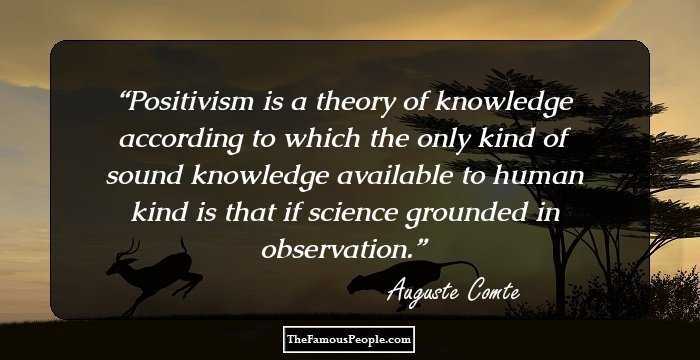 Auguste Comte was a French philosopher credited as the founder of the doctrine of positivism, and the discipline of praxeology. 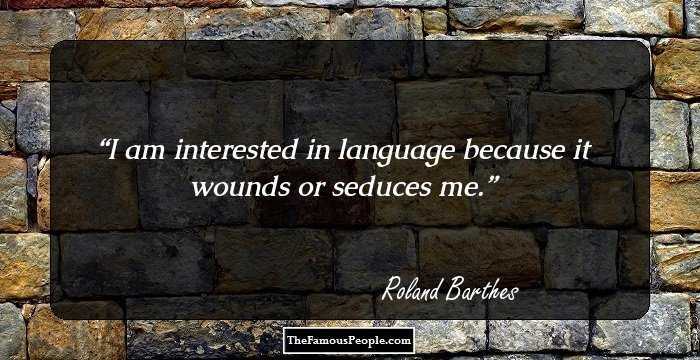 In the modern sense of the term, he is often considered the first philosopher of science. 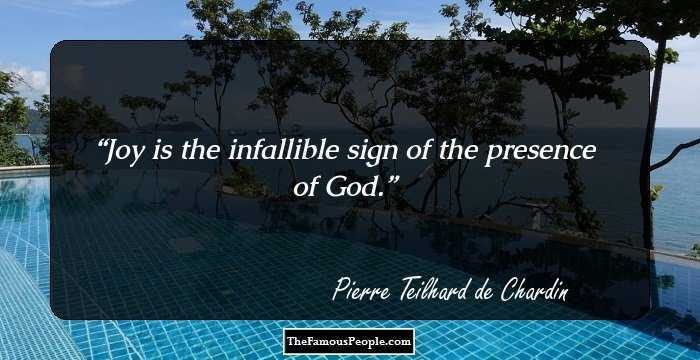 In order to rectify the social melancholy of the French Revolution, he developed the positive philosophy. 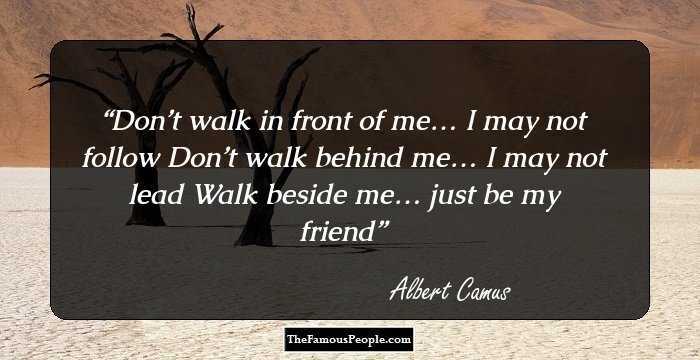 Comte became a major influence on the 19th-century thought and in turn influenced the thoughts and works of social thinkers, such as George Eliot, Karl Max, and John Stuart Mill. 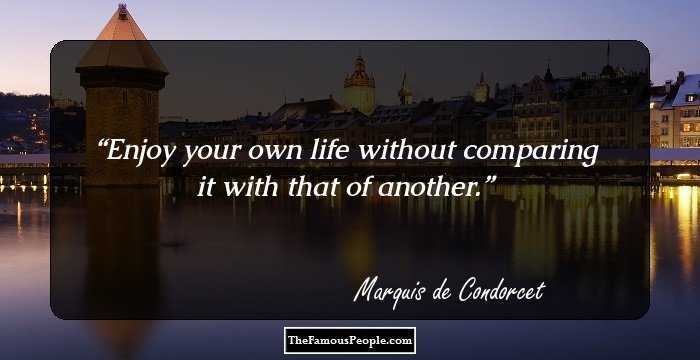 We have curated some most popular, insightful, enlightening and interesting quotes and sayings by Auguste Comte, which have been excerpted from his writings, books, philosophies, doctrines, thoughts, works, and life. 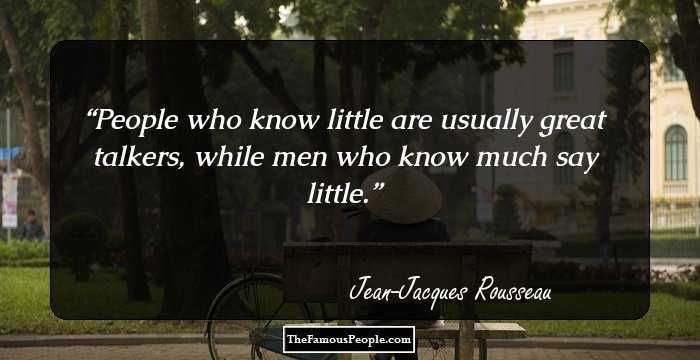 Take a look at some notable quotes and sayings by Auguste Comte on chaos, learning, yourself, history, science, philosophy, destiny, political determinations, etc. 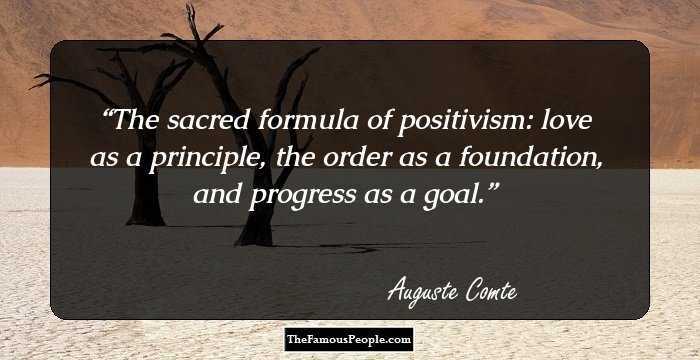 The sacred formula of positivism: love as a principle, the order as a foundation, and progress as a goal. 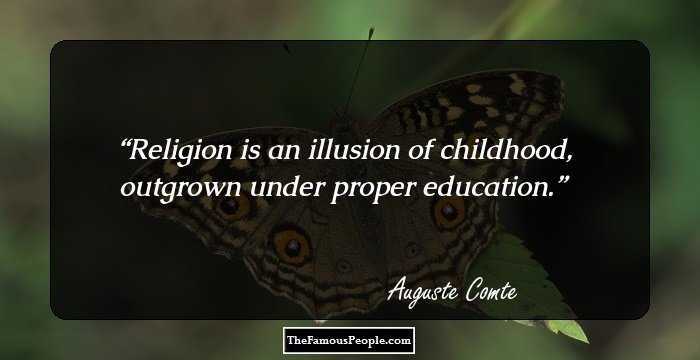 Religion is an illusion of childhood, outgrown under proper education. 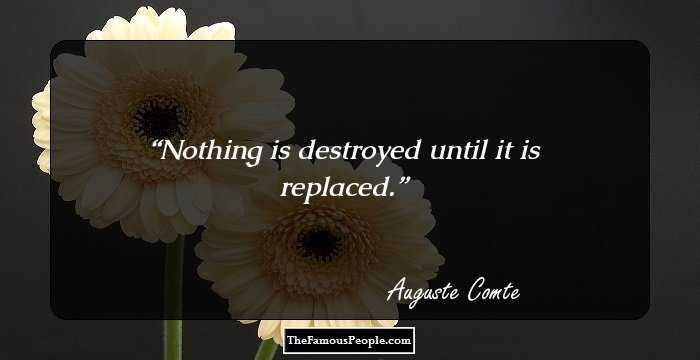 Nothing is destroyed until it is replaced. 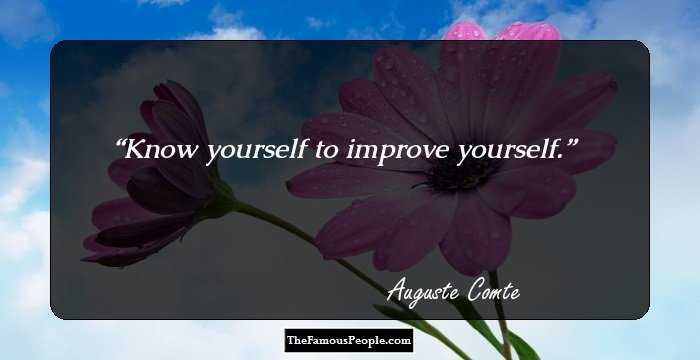 Know yourself to improve yourself. To reorganize society without God or King, by the systematic culture of Humanity. Each department of knowledge passes through three stages. 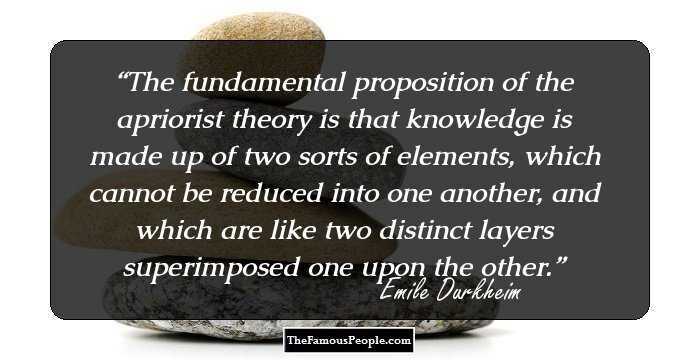 The theoretic stage; the theological stage and the metaphysical or abstract stage. Woman is the most moral element in all humanity. Everything is relative; and only that is absolute. If we do not allow free thinking in chemistry or biology, why should we allow it in morals or politics? The law is this: that each of our leading conceptions-each branch of our knowledge-passes successively through three different theoretical conditions: the Theological, or fictitious: the Metaphysical, or abstract; and the Scientific, or positive. 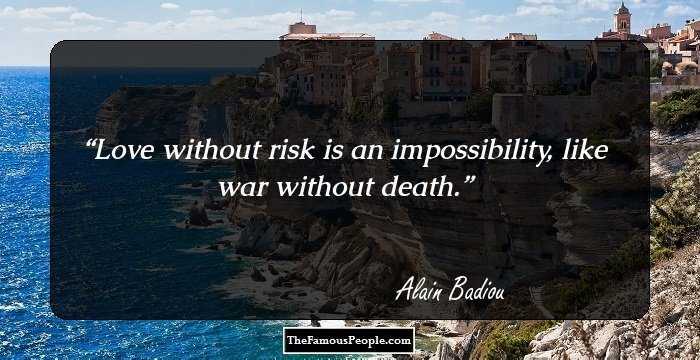 Humanity is always made up of more dead than living. Induction for deduction, with a view to construction. In mathematics we find the primitive source of rationality; and to mathematics must the biologists resort for means to carry out their researches. 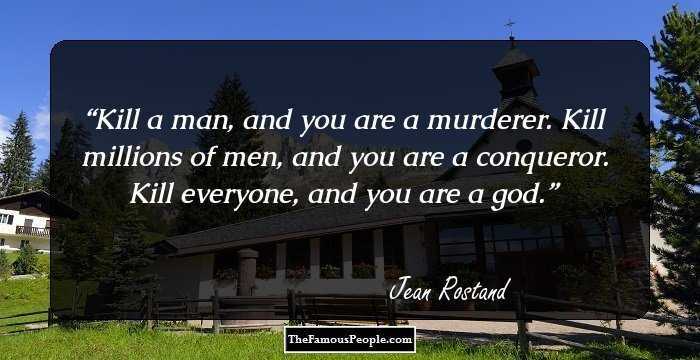 But now, I, August Comte, have discovered the truth. Therefore, there is no longer any need for freedom of thought or freedom of the press. I want to rule and to organize the whole country. C'este donc par l'étude des mathématiques, et seulement par elle, que l'on peut se faire une idée juste et approfondie de ce que c'est qu'une science. All good intellects have repeated, since Bacon's time, that there can be no real knowledge but which is based on observed facts.